Ai (love). 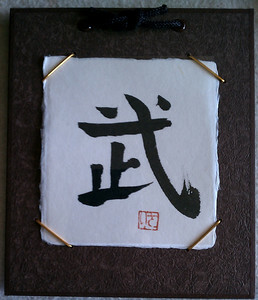 Chinese ink on washi. Private collection. 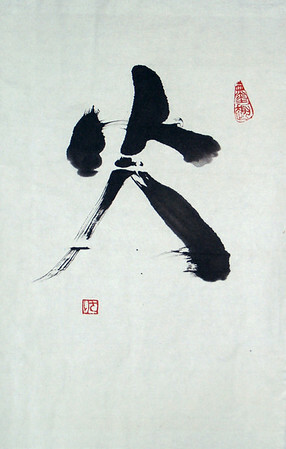 Tao / Do, 15 x 18 inches, Chinese ink on xuan paper, dry mounted. 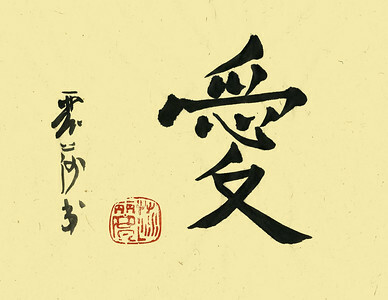 Suiseki. 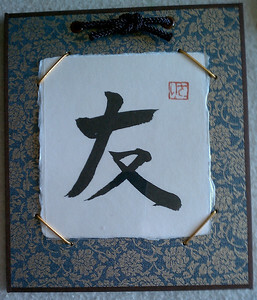 26.5 x 6.75 inches (dimensions of calligraphy only), ink on washi, mounted on scroll. Private collection. 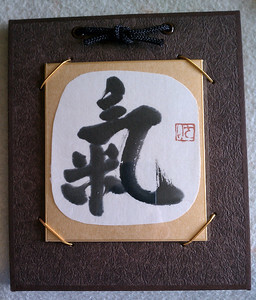 Samurai/ warrior - calligraphy on small shikishi SOLD. 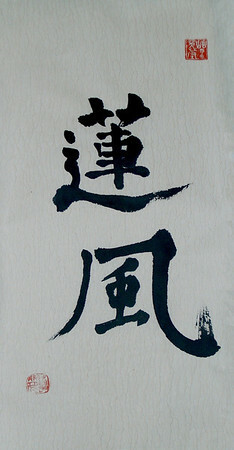 Calligraphy: Tao, on small shikishi. SOLD. 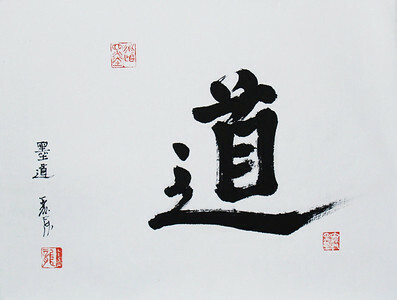 Fire, 16" x 11" (41 x 28 cm) Calligraphy - ink on paper, dry mounted. 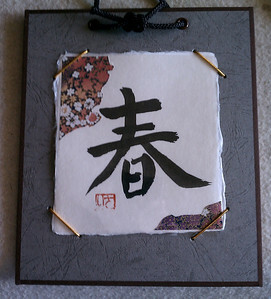 Xuan paper and washi are often enormous sheets of paper that are torn into smaller sizes. 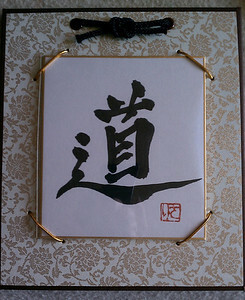 They are almost always with creases and fold marks which smooth out in the mounting process. 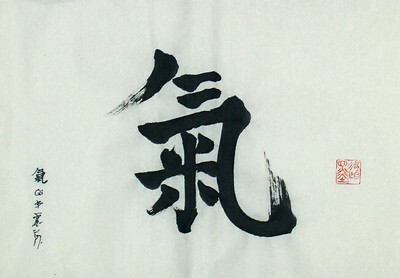 This calligraphy was painted on heavily creased paper, leaving an ink pattern that adds to the piece's energy.